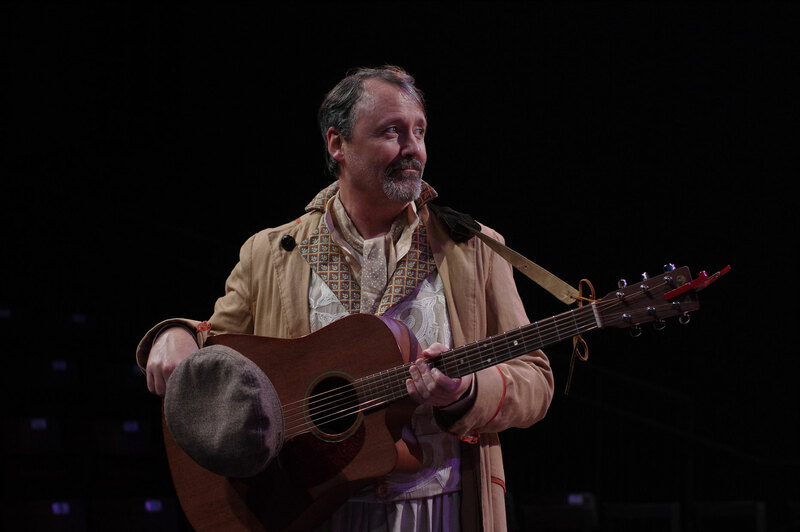 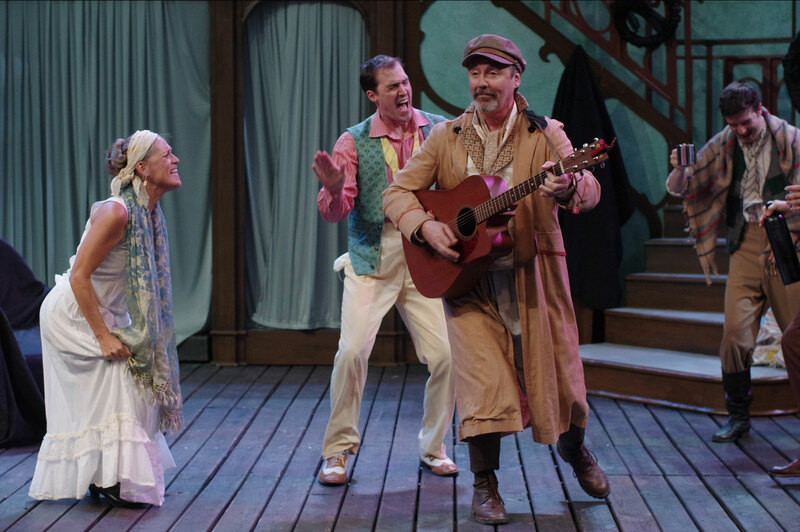 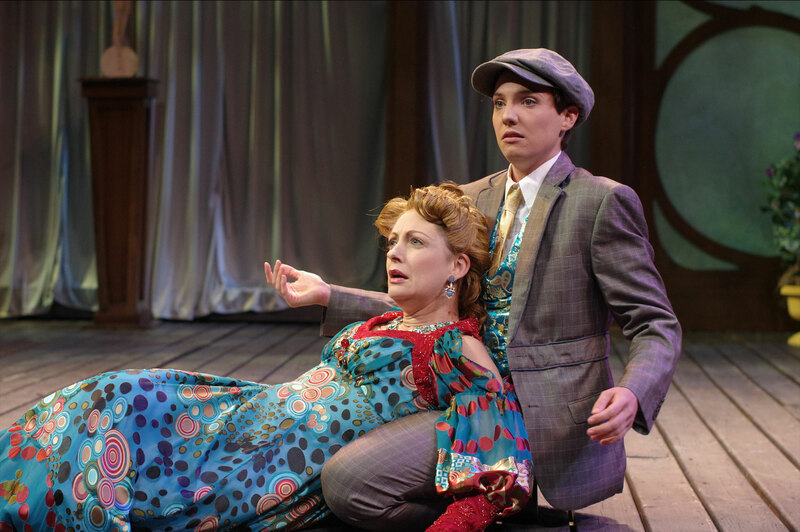 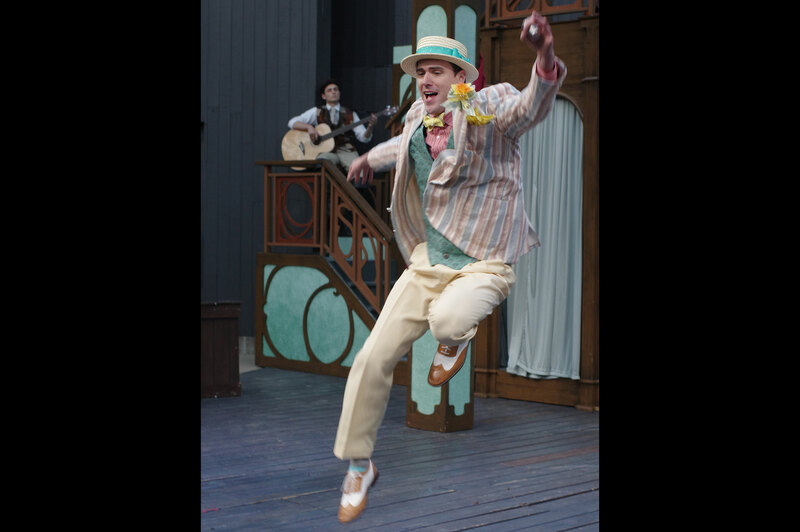 First-class ‘Twelfth Night’ opens fest. 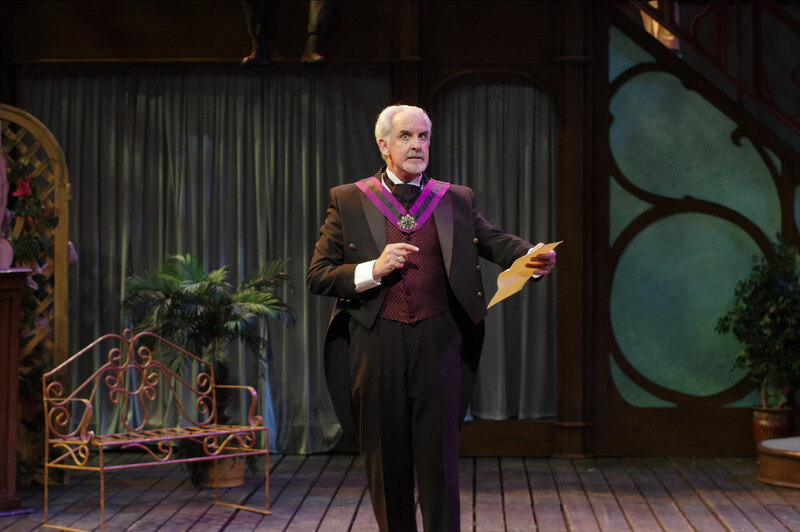 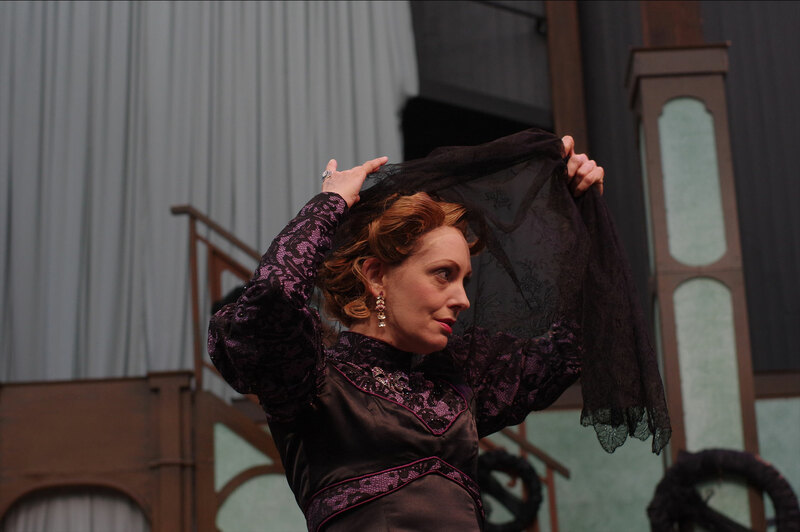 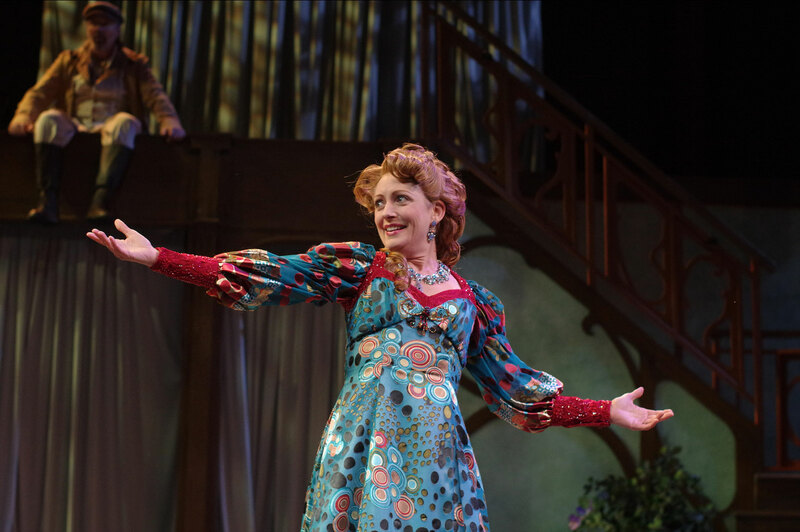 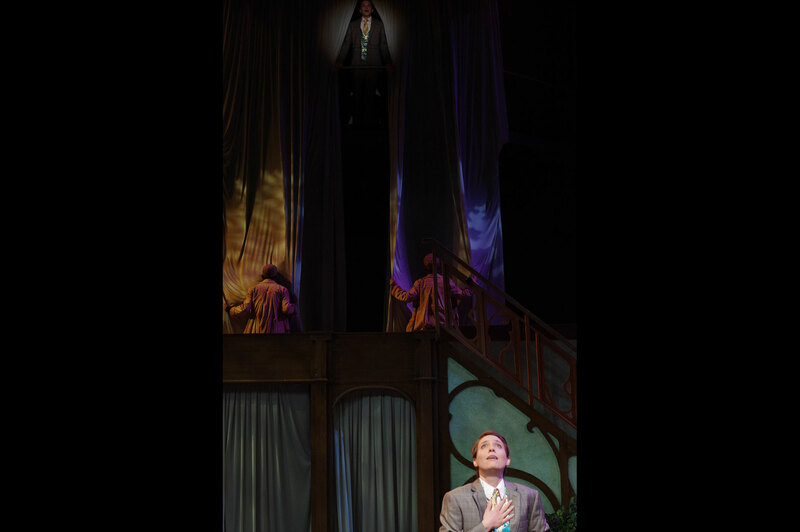 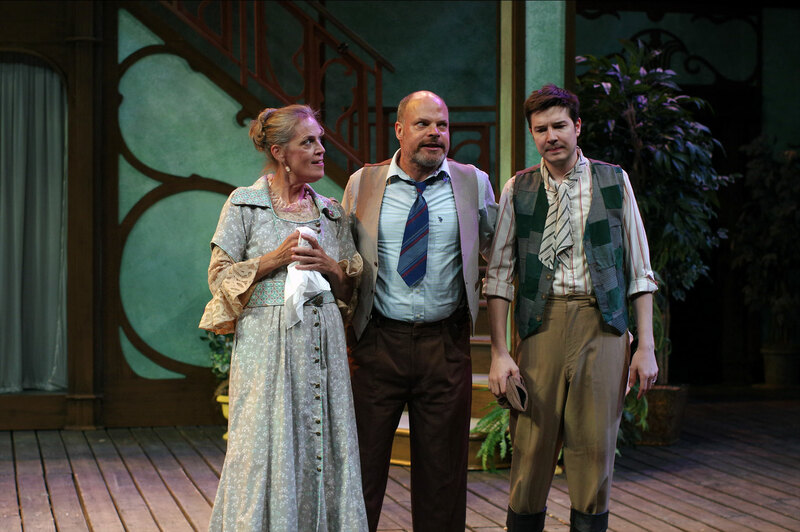 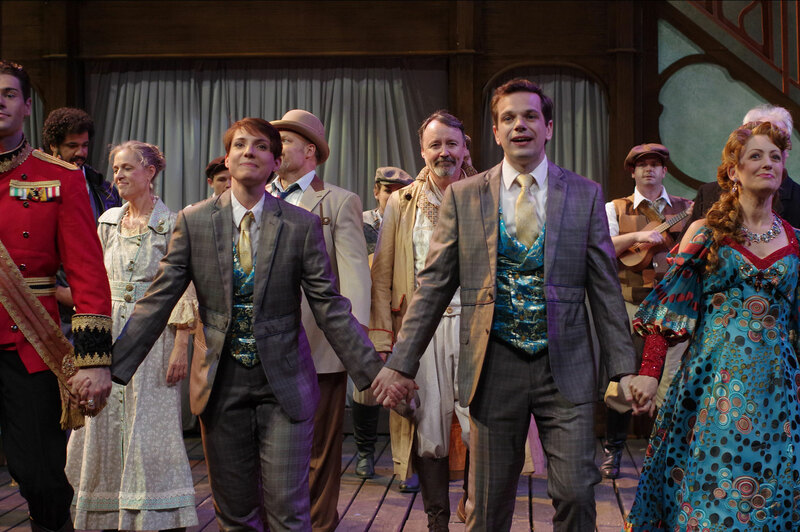 …Playfully directed by Rick Barbour, this charming production was met with thunderous, standing applause at its comic conclusion, thanks to the exquisite performances of an impressive cast. 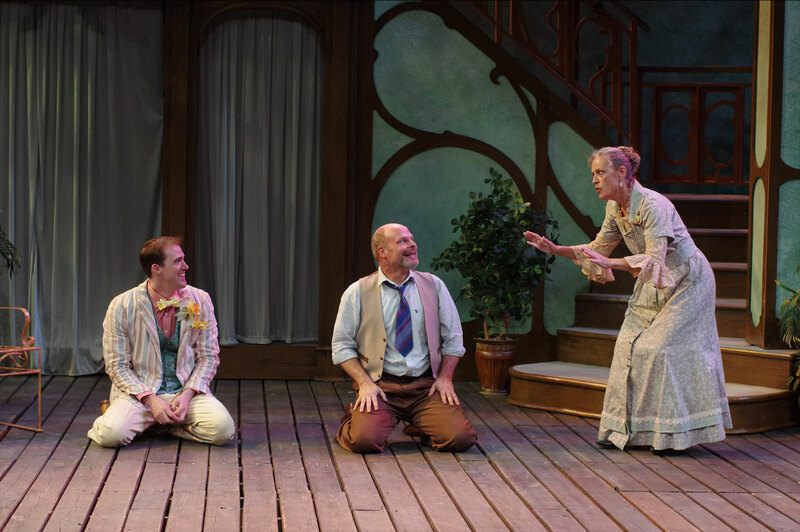 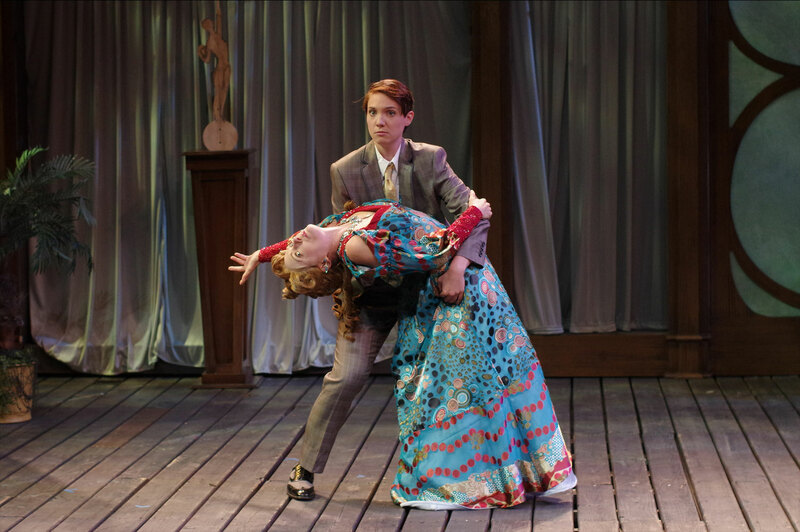 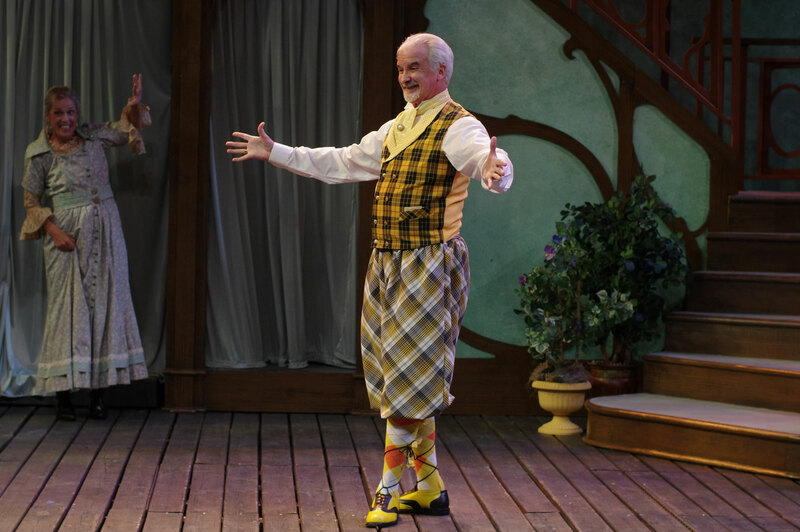 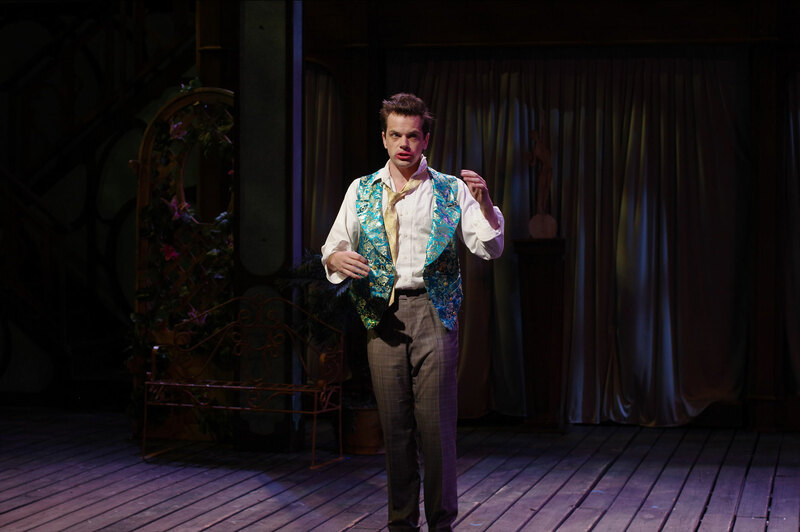 In Barbour’s vision, Malvolio and Olivia’s nearly farcical presentation of their misguided infatuations lumps them with Mark Tyler Miller’s Orsino, a duke in love with the idea of love who is clueless regarding the genuine article. 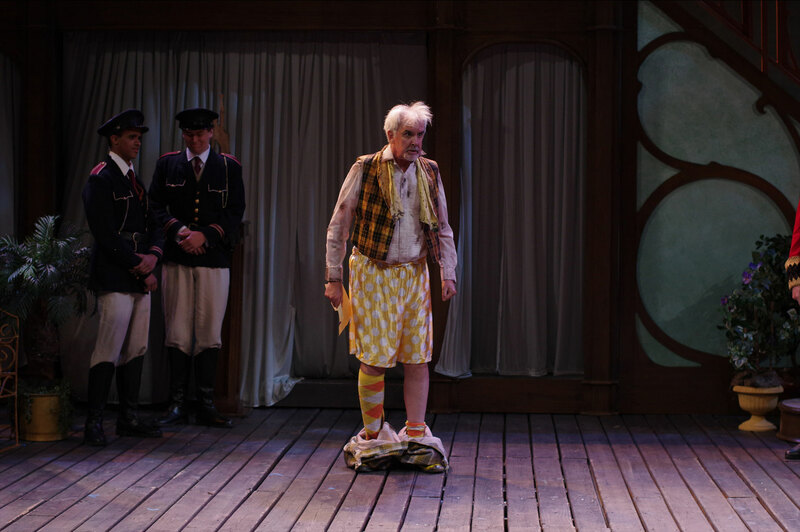 For all the laughs it engenders, this approach risks shortchanging Malvolio and Olivia, each of whom can be played with more depth and nuance than we get here. 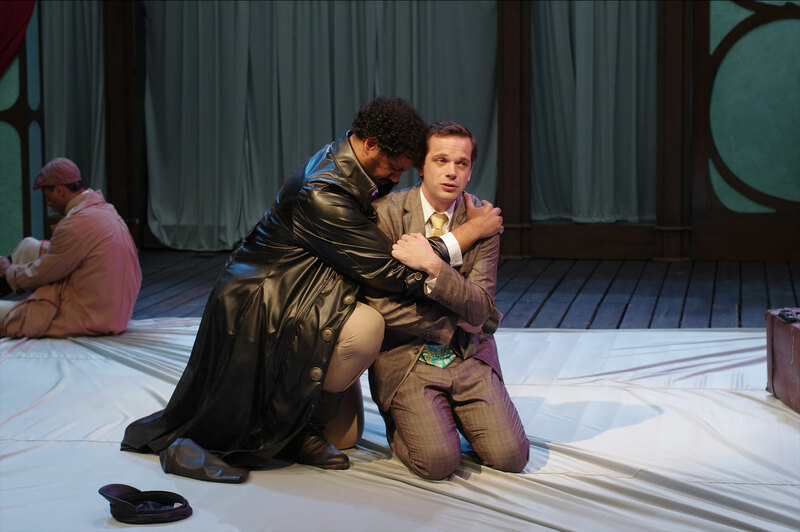 But Barbour’s directorial choice simultaneously underscores the much deeper, emotionally wrenching love experienced by someone like Jonah D. Winston’s Antonio, expressing the love that dare not speak its name for Sebastian (Christopher Peltier). 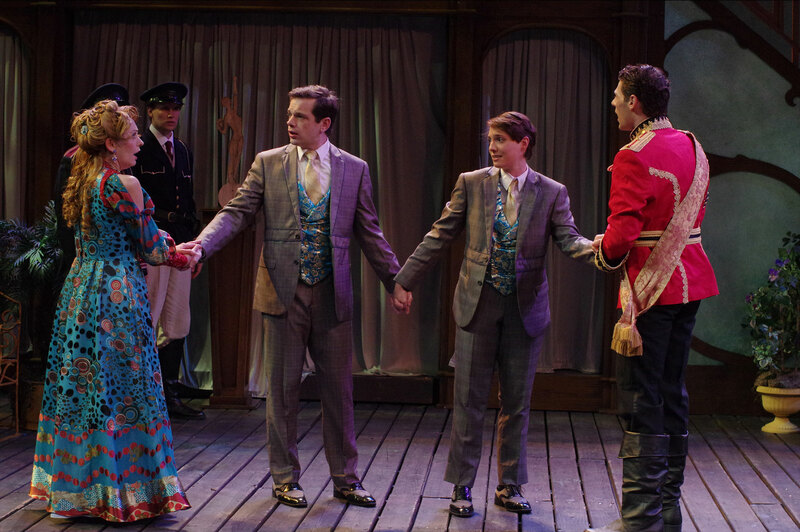 Or the great, tenderly rendered love that Sebastian and his twin sister feel for each other, as seen through their moving reunion. 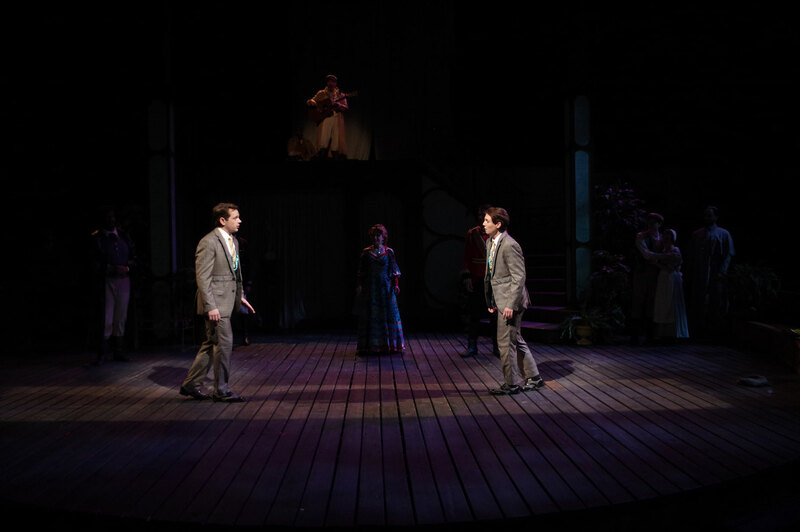 Or, most of all, that sister’s own great love for Orsino; watching Stoughton’s impassioned Viola give it voice, one grasps why Olivia falls for her without knowing that the so-called Cesario is actually a woman. 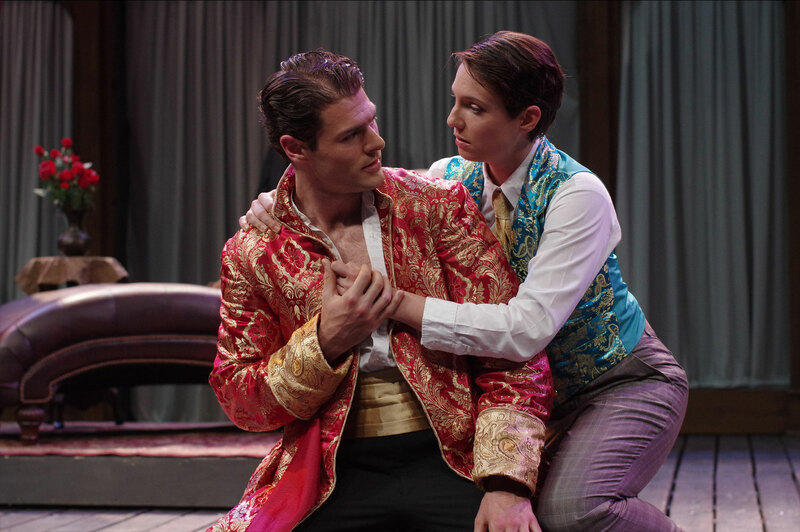 And why Orsino transcends his usual self-involvement to do the same, despite thinking she’s actually a man.